A mill at Wootton was recorded in the foundation documents of Quarr Abbey in 1132. A causeway was built across the creek to form the mill pond to the south and it also provided a means of crossing the creek. As well as trapping the tide, the mill pond was also fed by a stream flowing into it on the landward side. The 1863 OS maps shows the mill as 'disused', however the 1897 and 1942 maps indicate that the mill was grinding corn. 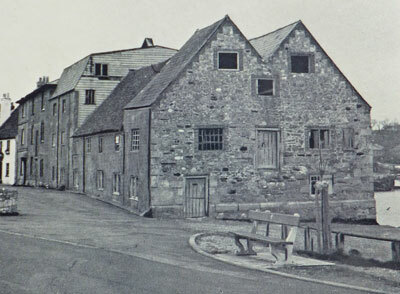 The mill had probably ceased production by 1945 and it was demolished in 1962. The road in the area is still Mill Square.